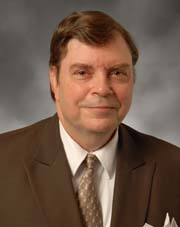 As vice president of EXIM Bank's Credit Underwriting Division, David Carter oversees the underwriting of short-, medium- and long-term credit transactions and other extensions of credit by U.S. banks and exporters to foreign banks, manufacturers, service companies, agricultural concerns and foreign government agencies. Carter joined EXIM Bank in 1998 as a credit officer, was promoted to credit manager in the Insurance Division in 2000, and to director of Credit Underwriting (North America) in 2002. He assumed his current post in March, 2006. Before joining EXIM Bank, Carter was assistant vice president and senior credit review officer of Central Fidelity Bank, Richmond, Va. Before that he served as manager in the credit review departments of First Union National Bank, Charlotte, N.C., and Florida National Bank, Miami Fla. Previously he was a bank examiner in the Florida Comptroller's Office, Miami, Fl. Carter holds a Master of International Management degree from the American Graduate School of International Management (Thunderbird), Glendale, Ariz., and a Bachelor of Business Administration degree in finance from the University of Miami, Coral Gables, Fl.